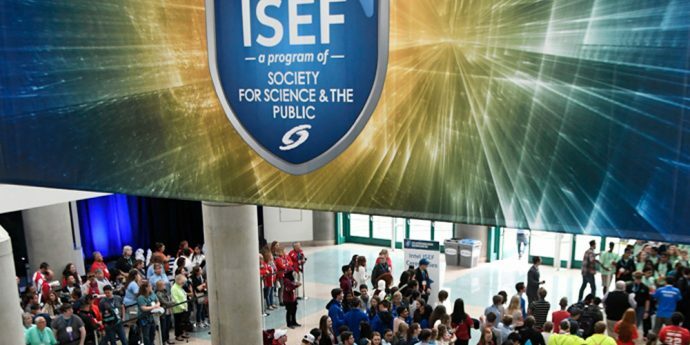 What: The Intel International Science and Engineering Fair (Intel ISEF), a program of Society for Science & the Public and the world’s largest international pre-college science competition, will take place in Pittsburgh from May 13-18. Nearly 1,800 high school students selected from 420 affiliate fairs in 80 countries, regions and territories will showcase cutting–edge research and inventions. Finalists will be competing for approximately $5 million in awards and scholarships. The full list of finalists is available in the event program (starting on page 60). This year, four finalists are from the Pittsburgh area. Remake Learning, a Pittsburgh-based network that ignites engaging, relevant, and equitable learning practices in support of young people navigating rapid social and technological change, will launch Remake Learning Days, from May 17-25. This festival of more than 270 events features future-ready, hands-on educational experiences for youth, families, caregivers and educators throughout southwestern Pennsylvania and West Virginia. Media must be registered to attend. To register, reach out to the contact listed below. A crowd of students gather ahead of the opening ceremony for the 2017 Intel International Science and Engineering Fair. More than 1,700 young scientists, engineers, entrepreneurs and makers from 78 countries, regions and territories convene in Los Angeles, May 14-19, 2017. The Intel International Science and Engineering Fair, organized and produced by the Society for Science & the Public, is the worldís largest high school science research competition. PHOTO CREDIT: The Society for Science & the Public/Kyle R.
The Remake Learning Days Kickoff takes place at Intel ISEF. Learn about Remake Learning Days programming throughout the month of May. Then, tour the Public Exhibition of Projects, showcasing the work of nearly 1,800 student finalists from around the world conducting groundbreaking research in 22 STEM fields. This is the best opportunity for registered media to see, interview, film and photograph students from across the country and the world who are working to find solutions to global challenges through science, technology, engineering and math research. This year, research topics range from virtual reality to sustainable energy to machine learning. Registered media are invited to attend the awards ceremony where the winners will be announced. The top prizes awarded by the Intel Foundation include the $75,000 Gordon E. Moore Award, named for the Intel co-founder and fellow scientist. Two additional top winning projects will receive Intel Foundation Young Scientist Awards of $50,000 each. More Info: For more information on Intel’s commitment to education, visit the Intel Innovation Generation page on Intel.com and join the conversation on Facebook and Twitter. To learn more about Society for Science & the Public, visit its website, and follow along on Facebook, Twitter, Instagram and Snapchat at Society4Science. To learn more about Remake Learning, visit its website and follow along on Facebook, Twitter and Instagram. Contact: To RSVP for the event or to schedule interviews, contact Samantha Rubenstein: 212-210-5899, Samantha.Rubenstein@pprww.com. The post Media Alert: Young Innovators from Around the World Compete at the Intel International Science and Engineering Fair appeared first on Intel Newsroom.